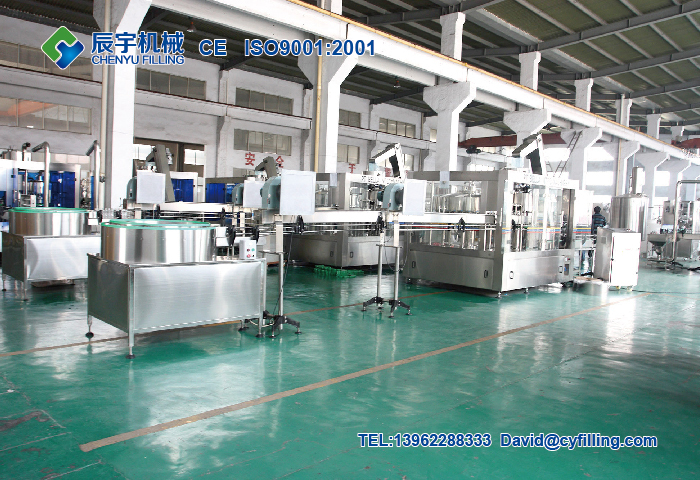 ﻿ Auxiliary Packaging Machinery | water filling machine|water bottling machine|bottle filling machine|Suzhou CHENYU Packing Machinery Co., Ltd.
PET bottle blow molding machine for the manufacture of PET bottles as raw carbonated drinks, water bottles, juice bottles, cosmetic bottles and so on. 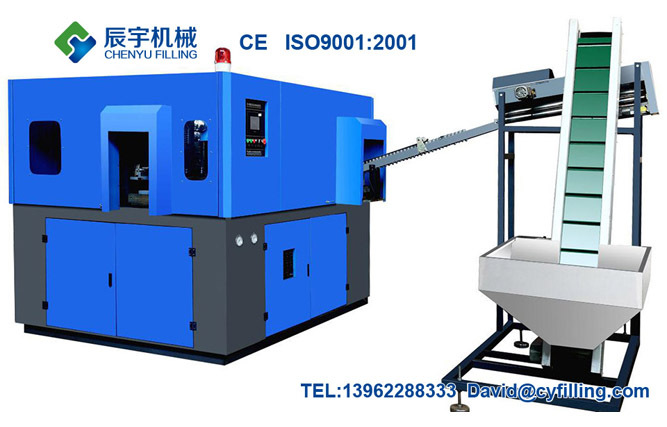 This machine adopts man-machine interface to control all working procedures automatic embryo, automatic blower, automatic out of the bottle, the air cylinder fully installed magnetic sensor switch connected PLC controlling the entire program to detect each movement of the cylinder, place the next action tooling stroke , the trip is not in place under the protection of an automatic action is not working, the alarm, PLC display fault location. Machine movement speed, accurate positioning, smooth operation. Depending on the model required, using double crank to increase cross clamping, clamping power. Clamping stroke according to product size can be adjusted to reduce the mold open time. Far-infrared heating tube, penetrating power, rotation and revolution preform is heated evenly, PLC or electronic regulator individually controlled heating temperature in each group. Has a unique design of the oven when heated preform closely spaced, blowing bottle spacing is transformed by size, shortening the drying tunnel and reduce energy consumption. 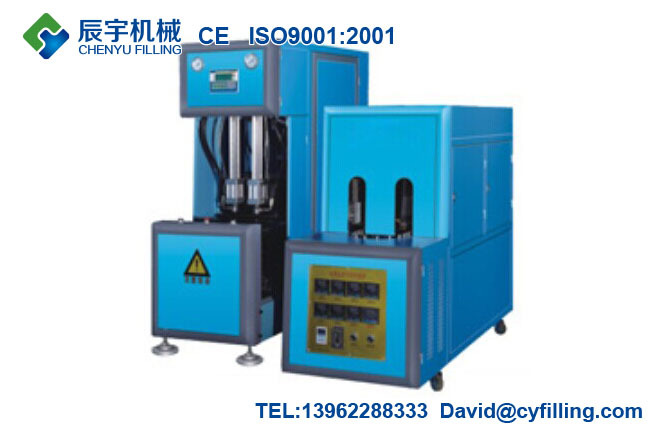 PET bottle blow moulding machine,which is suitable for blowing any shape of PET bottles such as carbonated beverage bottles, water bottles, juice bottles, oil bottles, cosmetic containers,etc. It adopts double crank clamping, clamping strong, flexible movement. The controller uses the PLC control (optional time relay), easy maintenance, low cost, time control can be accurate to 0.01 seconds. The air route design operation and blowing into two parts, to meet the blow, requiring action of different pressures. Far infrared heater using heat frequency rotation, orbital revolution so uniform heating, fast and reliable. Different heating lamp into segments with separate temperature control device to ensure ideal preform heating effect. Heating lamp can be adjusted depending on the direction of the preform. Operating only one person, does not require special training, installation, start simple. Carbonated beverage mixer adopts special mixed gas and liquid ejector and the technique of vacuum deoxidation.The mixing precision is high and the CO2 is fully mixed.The mixing proportion between water and syrup is seriously controlled by micro metering device.It is equipped with CO2 accuracy pressure control,so that the liquid level is always stable.The alarm device for low pressure and low liquid ensures the quality of its production.The machine obtains advantages of high reliability,high efficeiency,high grade of automation and easy operation,etc. 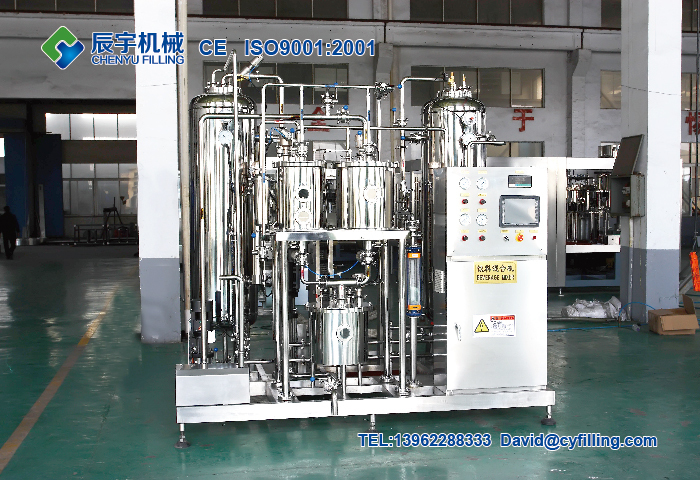 CO2 beverage mixer adopts special mixed gas and liquid ejector and the technique of vacuum deoxidation.The mixing precision is high and the CO2 is fully mixed.The mixing proportion between water and syrup is seriously controlled by micro metering device.It is equipped with CO2 accuracy pressure control,so that the liquid level is always stable.The alarm device for low pressure and low liquid ensures the quality of its production.The machine obtains advantages of high reliability,high efficeiency,high grade of automation and easy operation,etc. 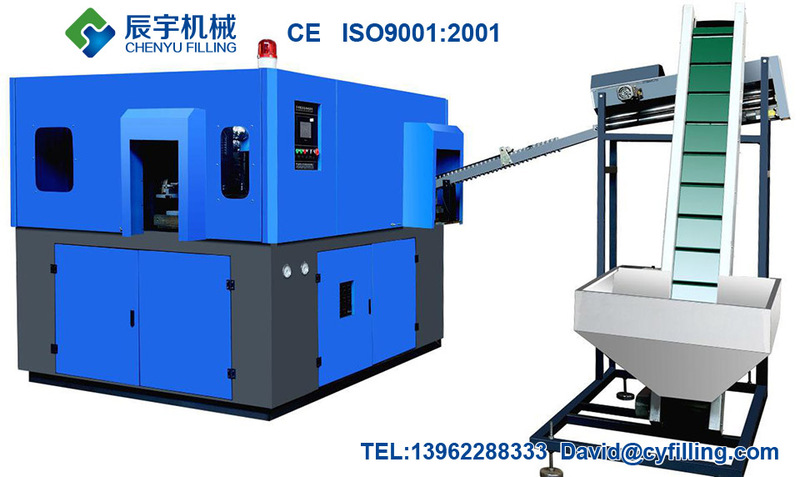 It unscrambles the plastic bottles,transfer to conveyor in order with certain direction and feed them into other equipments such as washing machine,or filling machine.It decrease labour intensity and improve productivity effect,also avoid second pollution caused by hand touching the bottles for loading bottle.